Natural justice is an important element of our society. Natural justice provides a sense of security to people. It is emerged to save people from injustice. Natural justice is based on natural laws. As natural laws are not codified thus it is very difficult to define natural justice. Natural justice is a very subjective term and can‘t be defined by particular set of words. It differs from case to case and mostly depended on facts and circumstances of a particular case. Basically, it is based on the idea to save individuals from injustice. Or in simpler words we can say that it is based on common sense. Or Natural justice is nothing but the ‘Law of Reason’. Idea of natural justice has been developed through the passage of time. It also differs from one geographical area to other area. It is based on universal idea i.e. ‘Law of Reason’, but its interpretation differs in different areas and in different time. Aristotle was a great thinker, philosopher (on the idea of justice). He has given his theory on ‘justice’ on the basis of the idea of natural justice (Jura Naturalia) . He said that it is a duty of state to provide justice (based on reason) to each and every individual. In America Natural Justice is not mentioned, but it can be inferred from the principle of ‘Due Process of Law’. Process code is mentioned in the constitution of USA . It deals with the administration of justice and acts as a safeguard from injustice, denial of life, property or from any legal right. In England principle of Natural Justice is heavily influenced from Magna Carta. It means that no free man would be entitled to injustice and he must be provided with natural rights and safety from any kind of injustice. As we have seen that idea and basic meaning of natural justice. Now have a look on its status quo and discuss its implication in present era. Society has been evolved from Stone Age to industrial age and lots of things have been changed. Now days, society is becoming very complex. In today’s world codified laws have taken place the position of uncodified laws. But natural laws can’t be debarred at any stage. 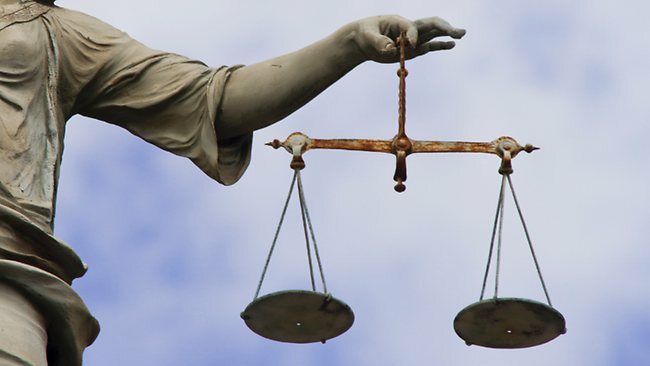 As natural justice is based upon natural laws and due to the complex nature of society, it is impossible to define natural justice in a particular set of words. Nevertheless, it will remain an important element of society. Even Supreme Court also discussed the same in the case of Maneka Gandhi v. Union of India. To provide natural justice, proceedings is a vital element. Without proceedings (in today’ time) attainment of natural justice is almost impossible. Some scholars have extended the importance of hearing and proceedings in the course of natural justice to very far extent. Like, one expert of law has said that “Hearing means natural justice”. As there is no specific definition of natural justice has been evolved, thus different Hon’ble jurists have laid down some specific principles of natural law. Among different principles, lots of jurists have relied upon two principles of natural justice . First is ‘Nemo Judex in Re Suna’ which means judge should be free from every type of biasness and he must not have any kind of interest in a particular case. And the second principle is ‘Audi Alteram Partem’ which means a person affected by a decision has a right to be heard. Although we have to keep in mind that natural justice is strictly based upon facts, situation of a particular case. Thus it differs from case to case . To provide natural justice, it is very necessary to provide a fair chance to party, against whom the case has been raised. To give a fair chance to him or her, it is vital to follow certain provisions. First and the basic provision is to give notice to the party. It means authority should inform the party regarding the case so that he can adequately present his or her views. Notice is regarded as the obligatory condition. It is the ‘sine qua non’ of fair hearing . Hearing is considered as an important element in the process of proving natural justice, but oral hearing is not always necessary part of it. Natural justice doesn’t predicate an oral hearing unless the case or condition requires otherwise. Nonetheless, any Quasi Judicial body can’t come to the result without giving a chance to the party and if it does then it would defeat the purpose of natural justice. ‘Hearing can be by written representation. Whether the opportunity should be by written representation or personal hearing depends upon the fats of each case’ . Burden of proof is an important part of natural justice. However, the specific authority under whom case is going on regulate the provisions regarding ‘burden of proof’. But the general rule regarding this has been laid down under the Evidence Act and i.e. burden lies on the person who asserts a claim in his favour. And he has to establish a Prima facie case, and once it has been established then burden to rebut shifts on other party. Every judicial process has limitations in it. And when we talk about limitation then an inevitable question would be raised and i.e. whether Limitations Act. 1963 would come into force or not? After lot of confusions and discussions, it has been laid down that Limitation Act, 1963 is a procedural law not a substantive law and provisions would be applied according to the need of case rather than in arbitrary form. And it has been observed that in some cases court refused to apply provisions of Limitation Act, 1963 for justice, equity and good conscience. Thus, crux of natural justice is to provide common sense justice to all and save everyone from injustice. And it is more than a judgment, unlike in the case of legal justice where we get only judgment not justice, we get true justice.